Just like you rely on a healthy consumption of caffeine to get moving in the morning, the little cells that make up your body rely on Mitochondria to produce energy. Richard Altman first identified Mitochondria in 1890, labelling the little free floating organelles 'bioblasts.' This rather insipid term for such a potent part of the cell, was more appropriately coined 'mitochondria' in 1898 by Carl Benda derived from the Greek mito (thread) and kondros (granule), no doubt inspired by the structure of the interior of the mitochondria. Mitochondria was made famous by Philip Skiekevitz when he fittingly termed it the 'powerhouse of the cell' in 1957. The mitochondria (plural mitochondria) is a membrane bound structure found in both eukaryotic plant and animal cells. The primary function of mitochondria is to provide the energy required for various cellular activities, most significantly the formulation of energy. Mitochondria are rod-shaped, double membrane bound organelles. 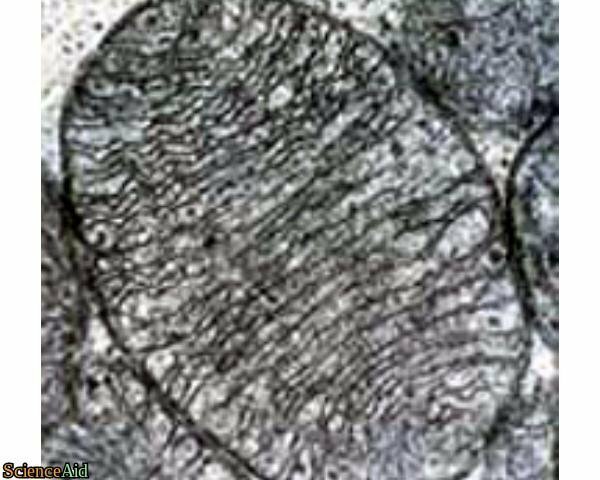 The outer and inner membranes of mitochondria are made up of proteins and phospholipids. The outer membrane of mitochondria surrounds the inner membrane, leaving a small space in between called the intermembrane space. The outer membrane has pores large enough to allow ions, molecules and small proteins to pass through. In contrast to the outer membrane, the inner membrane of mitochondria is much less porous, similar to the plasma membrane of a cell. The inner membrane folds over many times to create layered structures called cristae (singular crista). The folding of the inner membrane increases the surface area available for biochemical reactions. The shape and number of folds may vary. The inner membrane is full of proteins that aid in the movement of electrons as well as ATP synthesis. Enzymes.The mitochondrial matrix contains hundreds of enzymes that take part in the Krebs cycle, also known as the tricarboxylic acid cycle (TCA). The TCA is a series of biochemical reactions that result in the production of energy in the form of adenosine triphosphate (ATP). Ribosomes. Mitochondria contain ribosomes of 70S type, which is commonly found in prokaryotic cells. These ribosomes can synthesize proteins. Mitochondrial DNA. Mitochondria have a small amount of DNA (mtDNA). Located In order to convert chemical energy DNA located inside mitochondria, small organelles within the eukaryotic cells work at converting energy from food into ATP (an energy that cells can utilize). Although most of the DNA is found in the nucleus, the DNA found in mitochondria (mtDNA) does encode for 37 genes in humans, is inherited from the mother and was a significant portion of the first human genome to be sequenced . 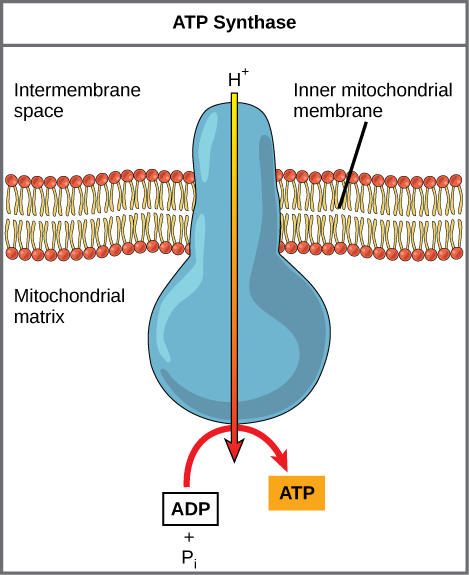 Mitochondria play a significant role in the production of the energy currency of the cell, ATP. Mitochondria are also involved in thermogenesis or production of heat. This process occurs in the mitochondria of cells of brown adipose tissues only. These tissues contain a protein called thermogenin. Thermogenin plays a role in the transportation of protons into the mitochondrial matrix. Brown adipose tissue or brown fat is found in the human body in small quantities only. It is found in hibernating animals primarily, such as bears, gray squirrels, and bats. Apoptosis is the process of programmed cell death. During apoptosis, a number of cell changes occur, such as shrinkage of the cell, fragmentation of the nuclear structure, condensation of chromatic, etc. Mitochondria play a dual role in apoptosis. They protect the healthy cells while appropriate and facilitate apoptosis when required. During the process of apoptosis, a special type of protein is produced called proapoptotic proteins. These proteins enter the mitochondrial membrane and form pores in it. As a result, the proteins present within the mitochondria enter the cytosol and initiate a series of biochemical processes that result in the apoptotic death of the cell. While bones are the primary storage site of Calcium, at the cellular level, Calcium ions are stored in mitochondria and endoplasmic reticulum. Mitochondria store calcium for a short time only in order to maintain cell homeostasis. MLA (Modern Language Association) "The Structure and Function of Mitochondria." ScienceAid, scienceaid.net/the_Structure_and_Function_of_Mitochondria Accessed 23 Apr 2019. Chicago / Turabian ScienceAid.net. "The Structure and Function of Mitochondria." Accessed Apr 23, 2019. https://scienceaid.net/the_Structure_and_Function_of_Mitochondria. ↑ Anderson, S.; Bankier, A. T.; Barrell, B. G.; de Bruijn, M. H. L.; Coulson, A. R.; Drouin, J.; Eperon, I. C.; Nierlich, D. P.; Roe, B. A.; Sanger, F.; Schreier, P. H.; Smith, A. J. H.; Staden, R.; Young, I. G. (1981). "Sequence and organization of the human mitochondrial genome". Nature. 290 (5806): 457�"65. Bibcode:1981Natur.290..457A. doi:10.1038/290457a0. PMID 7219534. Thanks to all authors for creating a page that has been read 12,741 times.